Krampus is the anti-Santa Claus of Europe who goes around kidnapping and punishing all the naughty little boys and girls. 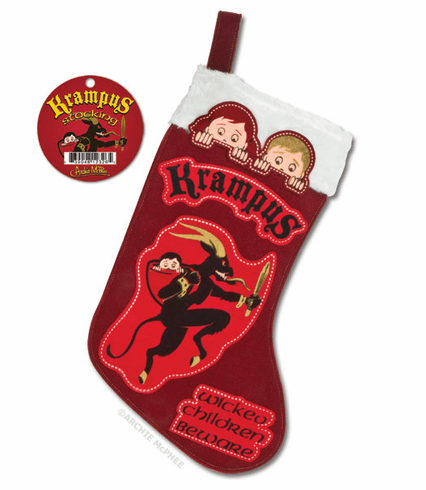 He has recently become more popular in the US, but even if they don't know who Krampus is, your kids will get the message, "Wicked Children Beware" when this Krampus Stocking makes an appearance on the mantle. This felt stocking is 16" (40.6 cm) long.